There are many exciting aspects of Halloween. While most children will say that trick or treating is what they look forward to, for those a little older the fun of Halloween is being able to throw a Halloween party. 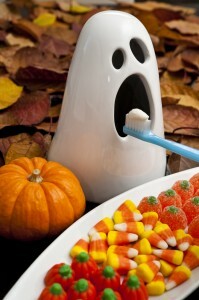 No matter what age you are, there are fun ideas that abound to make your Halloween party unique. Many would-be hostesses complain though that they simply cannot come up with any new ideas on how to throw a Halloween party. 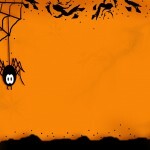 But there is help if you are looking for ideas to make your Halloween party memorable; read on. Here are some tips for coming up with unique Halloween party ideas. · You may want to begin your search for unique Halloween party ideas on the Web. The Internet is a wealth of sites that help you with ideas in party planning. Check out the online sites from television networks that feature home and entertaining ideas. Look at craft sites and party planning sites. All of these online websites can give you ideas that you may have never considered. · Take a trip to your local craft and bookstores. These are two places full of creative ideas from creative people. Craft stores often carry seasonal merchandise a month or two ahead of Halloween season which allows for timely planning. In addition, they often have already constructed examples of decorations or crafts that can be used for your party. Today’bookstores often feature comfy chairs and quiet spaces that allow for prospective buyers to browse party planning or craft books for ideas. Don’t forget to check out the magazines they have in stock as well. Often magazines can provide a wealth of ideas for a fraction of the cost of buying an entire party planning book. And if you come across a reference you like (whether magazine or book) than it is easy to buy while you are right there. •Talk to vendors and professionals who deal with parties all year around. Florists and caterers work at all types of parties. If you are looking for decorations, florists can provide you with all types of fun decorations and not just flowers. Today’florists often have experience working in a variety of decorative mediums and can help you come up with unique decorations for your party. •If you are stuck about what to serve at your party, have a consultation with a caterer. Caterers today must have an extensive knowledge about an array of flavors and types of cuisine. They can often help you design a totally unique menu to reflect your personal style at Halloween or have it reflect a unique type of food that your guests may have never seen. Caterers can also help you with the logistics of food serving that often make party planning more difficult. They can help you by presenting the food to your guests in new and unique ways much more special than a traditional silver chafing dish. •If your home will not work for the party, and you are considering using another venue, then talk to the manager or booking agent at your chosen venue. These are people who see a lot of parties and can tell you about the really unique ones. Do not be afraid to ask what they have seen in their space that has worked and what has not. What has been really memorable and fun? What would they recommend for a Halloween party? These bystanders may be a real resource in coming up with some fun and unique ideas for your party. •Finally, don’t be afraid to ask family and friends what fun Halloween parties they have attended. Get them to talk to you about what they have liked at other parties and what did not go over well. 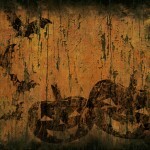 You can then pick and choose between the ideas that are given to create your own unique and memorable Halloween party.